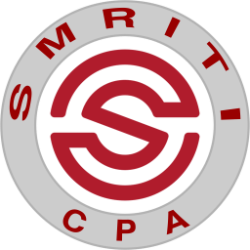 Our mission is to provide accounting and tax services that go beyond the scope of traditional services offered by most other practitioners. This is of paramount importance because it allows us to deliver our service both timely and accurately. We understand the day to day “emergencies” of our clients and do everything to solve them on the spot. In fact, most clients get an answer on the fly. This allows clients to have a true sense of comfort when dealing with our firm. That’s just what we want! Our firm pays great attention to crystal clear communication with all our clients. This is the foundation for type of services we deliver and the clientele we want to work with. In addition to providing quality work, the ultimate reward for our firm is client satisfaction. This may be in the form of providing timely advice, resolving an IRS matter, tax savings or just help with a bank reconciliation. Whichever it may be, client satisfaction drives our firm. The IRS and State tax rules are often complex and expensive if not handled properly. As part of our ongoing tax planning services, we focus on minimizing tax exposure while also guiding you on being financially sound. Although accounting and tax services are the mainstay of our practice, we provide many related services. Arranging financing for clients, investment strategies, insurance and retirement planning are some examples. Our experienced staff allows us to handle these issues effectively. We understand that selecting an accounting firm is a very important and personal decision for most people. Our goal is to make this decision as easy as possible.